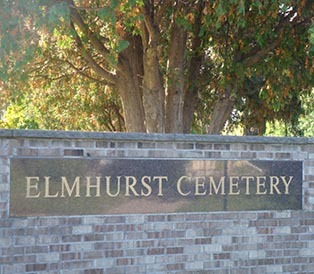 Elmhurst Columbarium Niche Garden is located directly ahead when entering Elmhurst Cemetery. The lovely setting offers a variety of niche choices providing families and individuals a place of solace and beauty to memorialize and visit their loved ones. 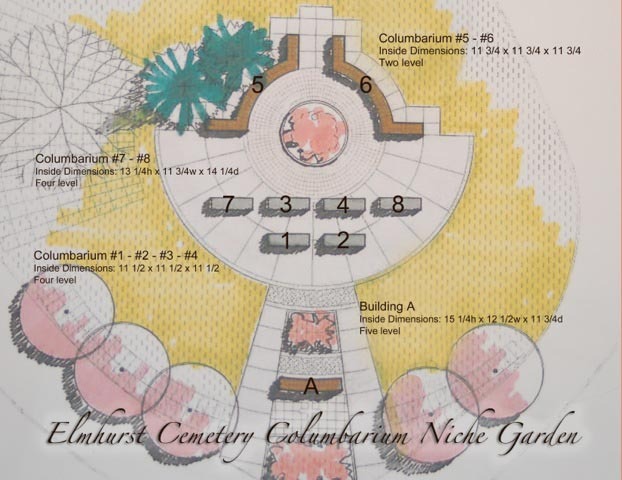 Built on the site of the original 1885 Elmhurst Gothic Revival Chapel, the Columbarium Niche Garden currently has 9 Columbarium walls housing nearly 1000 niches. Each of our niches is constructed to hold two individuals. There must be room for two individual Urns or containers in each niche.